Replacing Kadabra’s move Psybeam with Psycho Cut. It’s Gen4 (Pokemon Pearl) and my team includes a Kadabra with Psybeam, Teleport, Recover, and a random TM move. One day it levels up and is ready to learn a new move …Psycho cut. Psycho cut has damage 70, and Psybeam is damage 65. Seems like an obvious choice …Ok, I decide to forget Psybeam and replace the move with Psycho cut. Next battle: my Kadabra is worthless. Psycho Cut is hardly doing any damage at all compared to the old Psybeam. Opponents that use to faint after one hit are now taking four attacks to defeat. What the heck happened!? This is when I learned that all those ‘stats’ (attack, special attack, defense, special defense, speed) that flash by the screen when a Pokemon levels up actually matter. 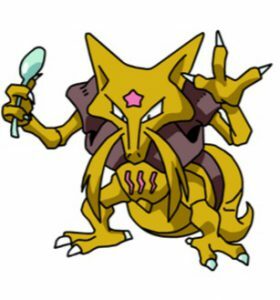 Kadabra has base attack stat of 35 and base special attack stat of 120. That is a huge difference! When I selected Psycho Cut I didn’t even know to look at the move type– Psycho cut is a physical type move which corresponds to attack stat, whereas Psybeam is a special type move, which corresponds to special attack stat. Tips for selecting Pokemon moves: Know your Pokemon’s stats. If it has stronger ‘attack’ stat, then physical moves will have more damage. If it is stronger in ‘special attack’ then special moves will have more damage. Same Type Attack Bonus (STAB) means your move can deal more damage if it matches the same type as your Pokemon. You can check your Pokemon’s learnset online to see which moves get an extra ‘bonus’ for being the same type as your Pokemon. If the Pokemon move type is special, then ‘Attack’ and ‘Defense’ are replaced by ‘Special Attack’ and ‘Special Defense’ in the formula above. 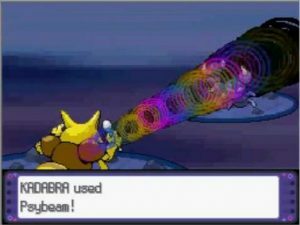 And that explains what happen to my Kadabra. Even though Psycho Cut’s ‘Base’ was slightly higher than Psybeam, it caused Kadabra’s ‘Special Attack’ stat to switch to its ‘Attack’ stat in the formula which greatly decreased the overall damage. There are also a few Pokemon move damage calculators online, where you can calculate approximately how much damage your Pokemon will have against an opponent. I have found this calculator really useful in deciding which moves to teach Pokemon. 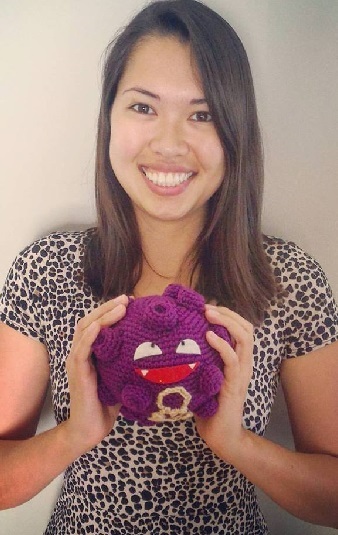 What are my top tips for selecting which move to teach your Pokemon? Pay attention to your Pokemon’s move type: physical vs. special move as well as your Pokemon’s stats. Also remember moves that are the same type as your Pokemon deal more damage due to same type attack bonus. Have you ever taught your Pokemon a move and then later regretted it? What are your favorite or least favorite Pokemon moves? Best or worst Pokemon moves? Hello! Thank you so much for visiting my site. Unfortunately I don’t think I can be of much help answering your question as my website was initially set up for me by a friend. I did go to my Plugins section on WordPress and looked for anything like a ‘Captcha’ plugin or comment moderating plugin, but I didn’t see anything relevant installed there. All I can tell you is I do manually approve comments on my end through WordPress before they are posted publicly to my site – but as far as I can tell this is a wordpress feature and not a separate plugin. Sorry that I can’t answer your question more clearly! Take care.